TOUR UPDATE: Maiden England World Tour returns to North America! Look out, US fans! 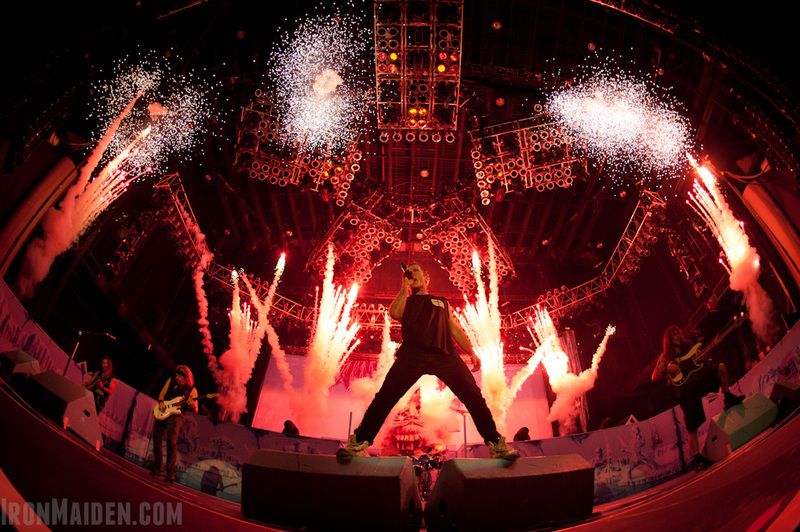 Iron Maiden return to North America on their way to South America this September, to visit some very special places. Indeed, Maiden are playing Raleigh NC, for the very first time. And several other US cities will enjoy their first Maiden visit in many years: Nashville TN, Kansas City MO, St. Louis MO, Las Vegas NV, and Austin TX. The mini-tour ends in San Bernardino CA, where Maiden will join the line-up of The Battle Of San Bernardino, which also includes Megadeth, Anthrax and Testament. The special guest for the rest of the US shows will also be Megadeth. Go to the official site for more information, including fan club presales and public on-sale times.